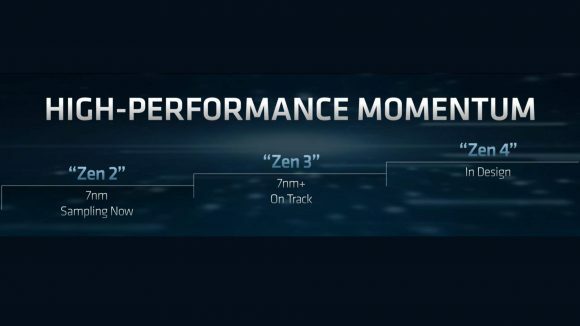 AMD has been showing off its 7mn CPU chops this week, waxing lyrical about the advanced new Zen 2 processor architecture coming our way in 2019. 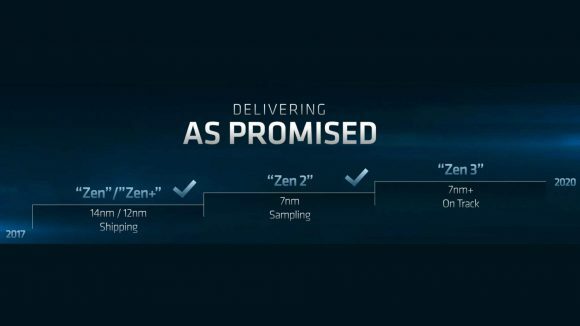 It’s all very exciting, with a ‘revolutionary chiplet design’ potentially gifting AMD the performance crown over Intel when the next generation of Zen-based CPUs land in our gaming desktops. But there’s a chance the new processors will be rapidly replaced sometime in 2020 with another new CPU architecture design using the advanced 7nm+ lithography. Of course the first-gen Zen chips were themselves updated after a year by the Zen+ processors, with the Ryzen 7 1800X being replaced by the 2700X, for example. In that case, however, there was no actual architectural difference between the first and second-gen Ryzen chips, it was merely a shift from 14nm to a nominal 12nm process node. 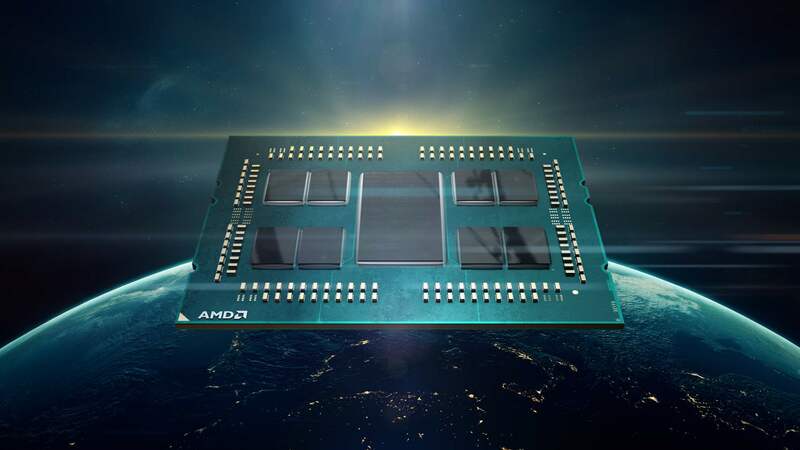 AMD has though declared its processor roadmap is still rolling ahead, and that means the Zen 3 CPU architecture is ‘on track’ for a launch seemingly around 2020. That would have it replacing Zen 2 just a year after its 2019 release. The Next Horizon event introduced us to AMD’s various 7nm designs, mostly focusing on the data centre and its next-gen EPYC server CPUs and the new Radeon Instinct Vega GPU for machine learning. But the most interesting part of the proceedings, for us gamers at least, has been the extra information about the Zen 2 architecture filtering down to our desktop rigs next year. It’s a unique processor design, using 7nm CPU chiplets mixed in with a 14nm die looking after the I/O. That means AMD can leverage the high yields, and relatively low cost, of the mature 14nm node and take advantage of the extra efficiency and performance of the 7nm node. There are other fresh architectural changes mooted too, with improved front end and floating point execution, and higher IPC performance. 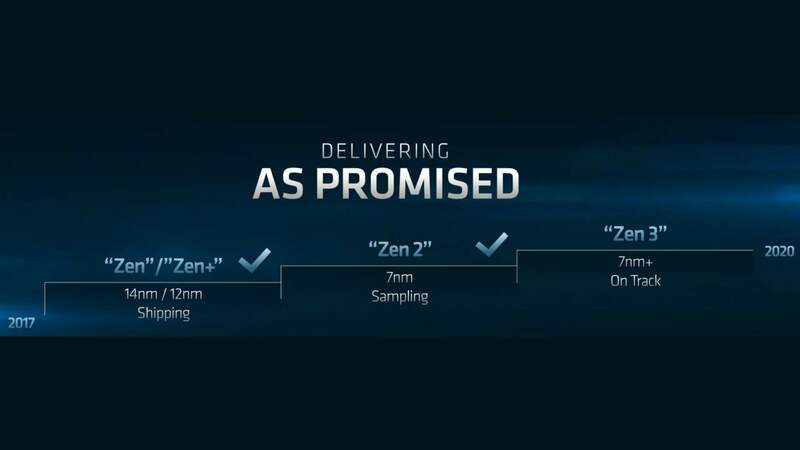 This could all make AMD’s Zen 2 CPUs the go-to gaming chips of next year, leaving Intel’s 14nm parts a long way behind in terms of process node, and potentially frame rate performance too. And, with the Zen 2 design allowing for double the core density of the Zen+ chips, Intel could be a long way behind in terms of core count too. 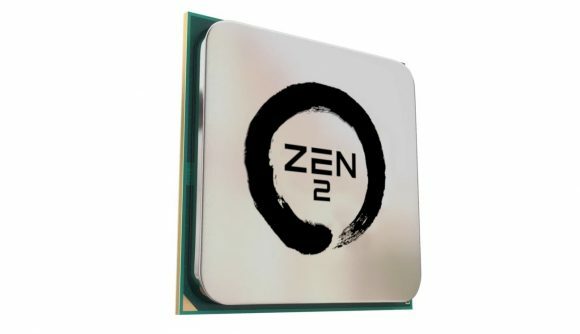 But for all of Zen 2’s improvements AMD is still suggesting its next next-generation CPU architecture is also getting ready to roll out, potentially for 2020 if the latest slides are any indication. Zen 3 could just be the 7nm+ tick to the genuinely new architectural tock of Zen 2; a similar year-on-year incremental update to the Zen > Zen+ shift of the first-to-second-gen Ryzen processors. But from a nomenclature standpoint that just looks a little weird, making Zen 3 seem like a whole new generation, and design, of AMD CPUs rather than what could be a potentially minor lithography update. These are early days, however, and roadmaps are always prone to change. AMD has more or less committed to yearly updates, but it wouldn’t be a huge surprise to see the Zen 3 architecture pushed out to make room for a potential Zen 2+ in 2020. Though that could then impact on the Zen 4 architecture which AMD has also confirmed is ‘in design.’ The momentum AMD has generated over the last few years in its CPU design and execution is incredible, but by committing to such a potentially rapid release cadence AMD risks not giving its advanced new designs any time to breath. But AMD has shown that it knows what it’s doing, in the CPU world at least. So I’m positive it’s not going to risk its processors competing with themselves… however much it wants to keep sticking it to Intel.